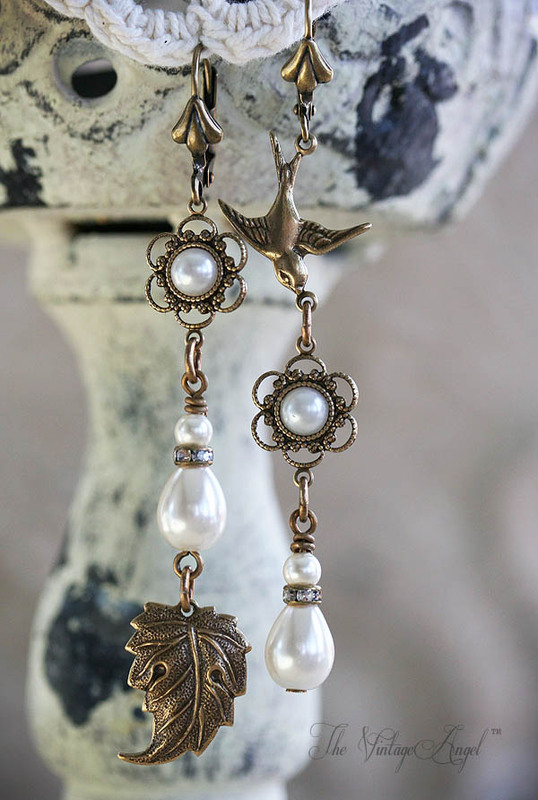 Asymmetrical whimsy in aged brass paired with ivory glass pearls and vintage rhinestone detailing will make this pair your favorite. 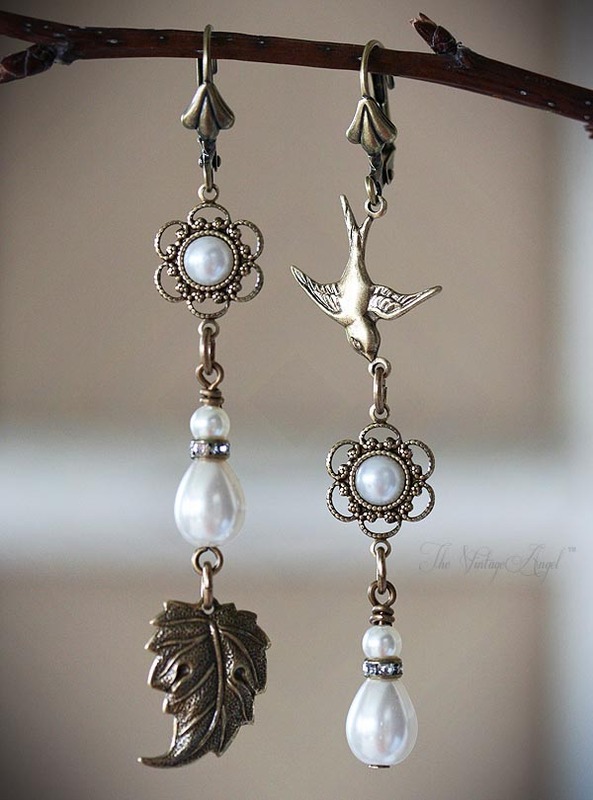 A pretty little bird in flight, pearl embellished connectors and a delicate leaf make up this unique pair of asymmetrical earrings with antique brass hooks for pierced ears. Antique brass leverback hooks, components are antique brass (lead and nickel free). 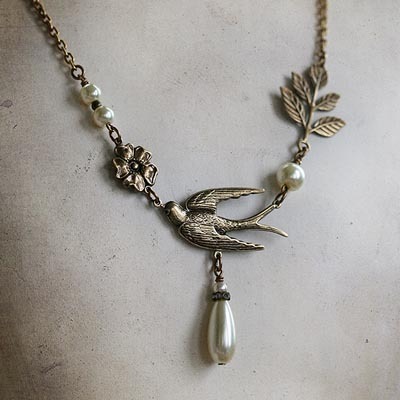 Glass pearls in soft ivory. About 3 inches long including hooks.